Jury: Joseph Banowetz (USA), Marcella Crudelli (Italy), Peter Donohoe (UK), Leslie Howard (UK), Radoslav Kvapil (Czech Republic), Noriko Ogawa (Japan), Vladimir Tropp (Russia), Matthias Kirschnereit (Germany), Murray McLachlan (UK) (R). The Manchester International Concerto Competition for Young Pianists is a competition with a difference. Integrated into the first week of the Chetham’s International Summer School and Festival for Pianists, the finals were a culmination of a week in which all participants were able to take part in masterclasses with members of the jury, as well as being able to hear a selection of superb concerts by some of the world’s best concert pianists. The jury consisted entirely of international soloists, something very rare within competitions of this nature. Staged over two nights, the finals provided a fantastic array of talent from all over the world. The technical ability of the sixteen and under category was particularly stunning, and the two evenings provided some fascinating performances. The Manchester Camerata gave exciting, dramatic and colourful accompaniments for the finalists. To have a charismatic conductor in the shape of Steven Threlfall providing the backdrop to the finals made the event a very memorable occasion. The sixteen and under category was probably the most intriguing of the two finals. First onto the platform was Yuanfan Yang, a twelve year old pianist currently studying at Chetham’s School of Music with Murray McLachlan. His performance of Chopin’s Piano Concerto No. 1 was notable mainly for his stunning technical ability. Musically, there was some room for improvement, however, as a young pianist, there is plenty of time for his musicality and understanding of the music to fully develop. Jonathan Mak from Canada, another twelve year old, had something special, and his performance of Mozart’s Piano Concerto No. 27 was nothing short of magical. 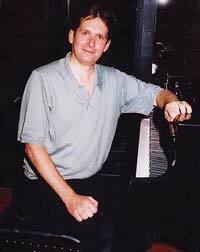 Pianists of all ages should admire the lyrical and well balanced sound that Jonathan managed to extract from the piano. In places, the playing was a tad over pedalled, but this really was a fantastic performance. Dominic Degavino was the final competitor and another pupil from Chetham’s. At fourteen, Dominic was the eldest of the competitors, and his maturity was really heard in his performance of Kabalevsky’s Piano Concerto No. 3 which was full of life, combining excellent articulation and precision. Dominic’s communication with the orchestra and conductor was a joy to watch. Occasionally the orchestra seemed to dominate the soloist however, and Dominic could do with gaining some more depth and volume into aspects of his performance. The result was to award joint first-place to all three competitors, a decision which, given the nature of each performance was probably justified. All three young pianists are destined for great things in the future, and we should watch their development with interest. The twenty-two and under category was a story of two halves and dominated by pianists from Korea. The first two concertos were very similar in that there was a distinct emphasis on technique rather than musicality. The first, a performance of Chopin’s Piano Concerto No. 1 by Sungpil Kim was dull, and lacking any sense of passion and flair which is what is needed in music of this nature. His body language on stage suggested that he would rather have been somewhere else. In order to sell a performance you really have to be seen to be enjoying it, and it was the sense of enjoyment that was lacking here. Yoon-Seok Shin’s performance of Beethoven’s Piano Concerto No. 2 was an improvement, albeit not drastic. There were some moments of real energy, and some serene melodies in the second movement, however, some miscommunication with the orchestra and conductor as well as some inaccuracies led this to be distinctly average. The interval was a welcome break and what was presented afterwards was nothing short of stunning. One could have been mistaken for thinking that an entirely new concert had begun. 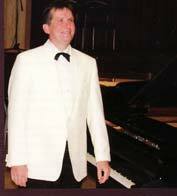 A second performance of Chopin’s Piano Concerto No. 1 by Sun-Jae Kim was spell-binding. The second movement was delicate, simple and unfussy, the sound: entrancing. Throughout the entire concerto, Sun-Jae used large amounts of internal rubato, which forced the orchestra to really listen to what was going on. The third movement was rhythmic and fun, and provided a wow factor ending to what was a truly mesmerising performance. Last but not least was Tudor Scripcariu from Romania. 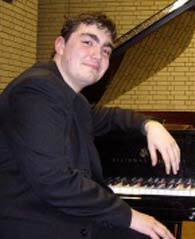 Currently a student at the Royal Northern College of Music, Tudor played Beethoven’s Piano Concerto No. 3 with mature authority. The first movement was driven and extremely dramatic, the clarity and variety of his articulation amazing to watch. The second movement, in contrast, created a completely different atmosphere in the concert hall. Carefully placed, well-balanced chords combined with utterly beautiful melodies made this movement so successful. The finale had a fast tempo, and Tudor really got into the character of the music: Tudor genuinely excited and passionate about the music he was playing. The decision making process must have been difficult as there was so little separating these two performances. This was the end to what was a truly sensational two nights of music. The Chair of the Jury and founder of the competition, Murray McLachlan [L] should be very proud of what is becoming of this event: A fantastic feast of piano heaven. 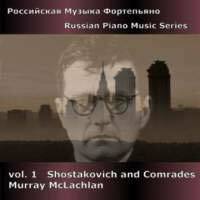 This release is the first in a projected series exploring Russian Piano Music and is a fine demonstration of McLachlan's virtuosity and stamina. It was recorded at Chetham's during the 2006 Festival for Pianists and consists of complete "takes"; a refreshing change from the prevailing fashion: q.v. Tony Faulkner - - People like me spend much of our lives in control-rooms listening to musical shrapnel, artists doing repeated short sections manically - - (November 2009 Editorial, Classical Source http://www.classicalsource.com/home.php).